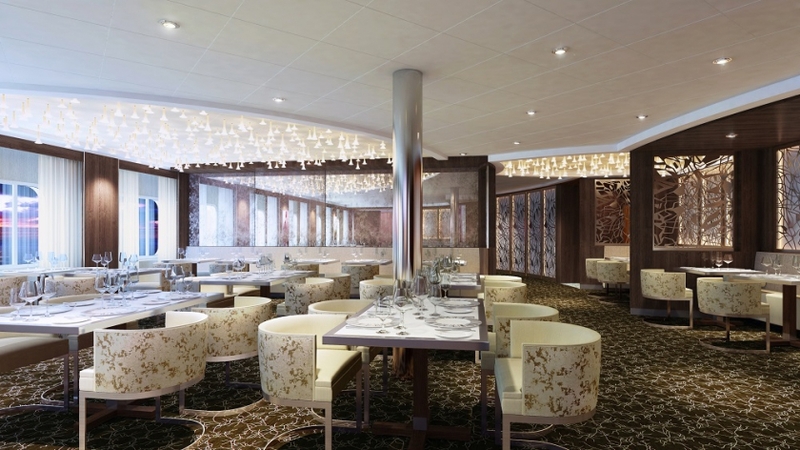 Inspired by the essence of light, exceptional food, wine and luxury - Celebrity Cruises has revealed the first look into newly named "Suite Class" restaurant, "Luminae." Guests who indulge in the premium brand's Suite Class now can discover more details about the exclusive dining experience. 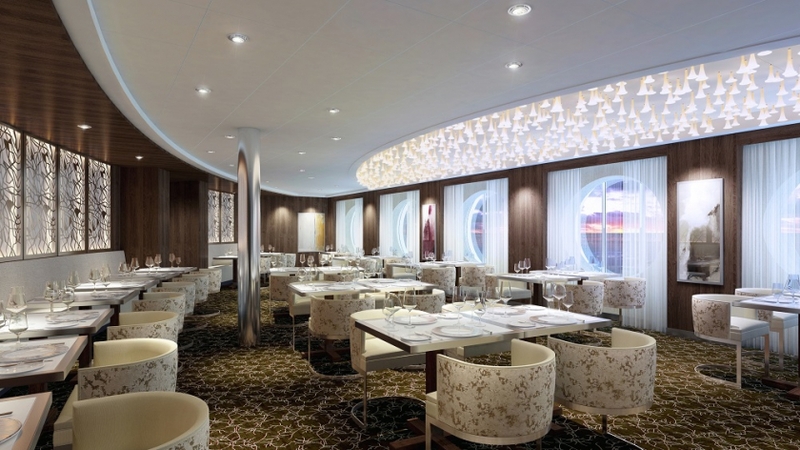 Luminae will be introduced onboard Celebrity's modern luxury ships beginning in April. Guests dining at the brand's first suite restaurant will enjoy warm hospitality, impeccable Celebrity service, and eclectic, one-of-a-kind menus that are only available in Luminae. Celebrity's dedicated team of chefs has created the new elegant menus for the venue's complimentary breakfast, lunch and dinner - each menu item will only be featured once during a two-week cruise vacation. With handcrafted dishes that are made from scratch, the unique menus will also feature locally sourced regional and seasonal ingredients inspired by the destinations Celebrity sails to among the world's seven continents. "Everything about Luminae embodies an inspirational culinary journey for our guests. We want them to savor soulful, technique-driven cuisine, while enjoying warm and personalized service in a relaxed, stylish setting," said John Suley, James Beard-featured Executive Chef, Celebrity Cruises. "The menus will be exquisite and guests can choose from dishes such as caviar and crème fraîche, a creamy black truffle risotto with fricassee of wild mushrooms and Parmigiano-Reggiano and a côte de bœuf with roasted root vegetables and béarnaise sauce. The handcrafted desserts will provide the sweetest ending, and a favorite of mine is the mascarpone cheesecake and pistachio nougatine with yuzu brown butter and apricot sorbet. Every menu has been precisely designed with our guests' varied palates in mind, and we hope they will love our informal, luxury dining experience." With special touches like tableside preparation of signature dishes and the daily presentation of a new delectable gourmet chocolates and desserts cart, the menus are complete with pairings made by the restaurant's dedicated head sommelier. The wine list, specially designed for Luminae guests, will feature more than 400 selections, each from the most notable wine-producing countries in the world. Realizing Celebrity's Suite Class experience - the culmination of warm intuitive service, award-winning dining and upscale benefits - Luminae is a culinary experience of modern, diverse cuisine that will scintillate the tastebuds.